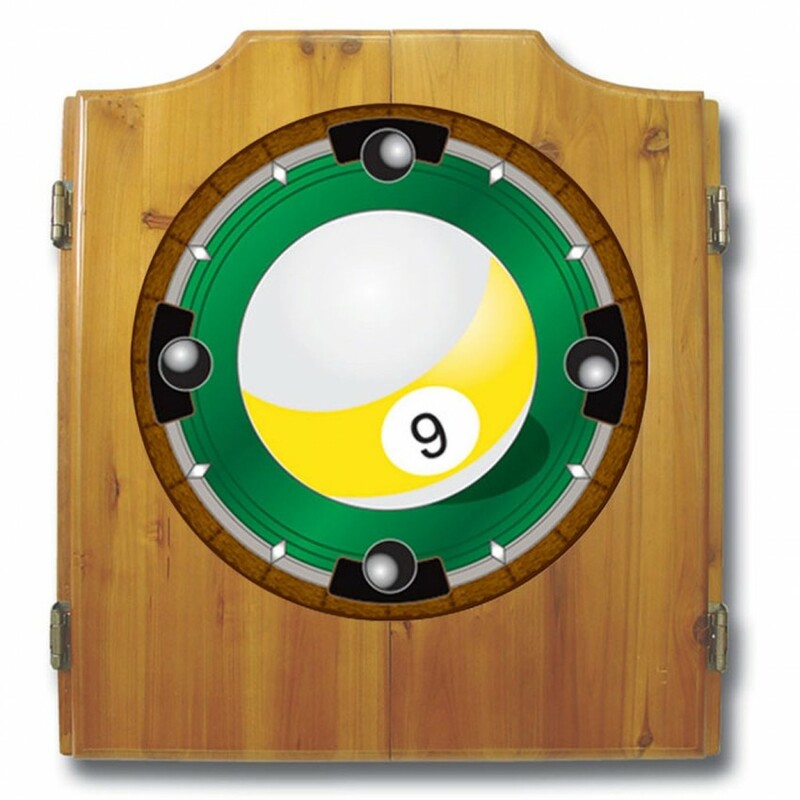 This 9-Ball dart cabinet features a quality dart board and darts included. Your opponent will feel the deadly chill of this cool, sleek dart. Black Ice will stop them in their.. Designed by dart experts specifically for darts, Casemaster represents a full line of quality crafte..
Buffalo Sabres Cue Rack in Black Finish by Holland Bar Stool..
Ready to rain bullseyes onto any dartboard? Offered in high quality nickel silver plated barrels. It..
100% plastic, these cards will last for years. Poker sized (2.5 x 3.5 inches) and Bridge sized (2.25.. The Orbital offers a top quality alloy barrel coated with a bronze chrome finish. A great dart for t..
Syracuse Cue Rack in Navajo Finish by Holland Bar Stool..
Holland Bar Stool Company is proud to offer this Officially Licensed logo Foosball table. Game cabin.. The stakes are high. Your chips are high, but so is the pot. You're holding a pair of Jacks with Que..
Kentucky "Wildcat" Cue Rack in English Tudor Finish by Holland Bar Stool..
Wisconsin "W" Cue Rack in Navajo Finish by Holland Bar Stool.. These 13 gram Pro Clay Casino Chips are 39 mm diameter casino sized chips and are designed with the ..
Bring the game to your game room, garage or collection with an officially licensed beveled wood dart..
Holland Bar Stool Company is proud to offer this Officially Licensed logo Shuffleboard table. Wood c.. The Springfield table is perfect for family play or serious competitions among friends. Table can be.. The Viper Cambridge cabinet is constructed of solid oak with box joints and self-closing hinges. The.. This is the ultimate addition to ANY fan cave. This Team Pool Table is the real deal. 8' Regulatio..
Holland Bar Stool Company is proud to offer this Officially Licensed logo Air Hockey table. Game cab..